Over the past few decades, the instrumental guitar community has done little to silence its critics, the “It’s all just wanking over a lame backing track” lot. 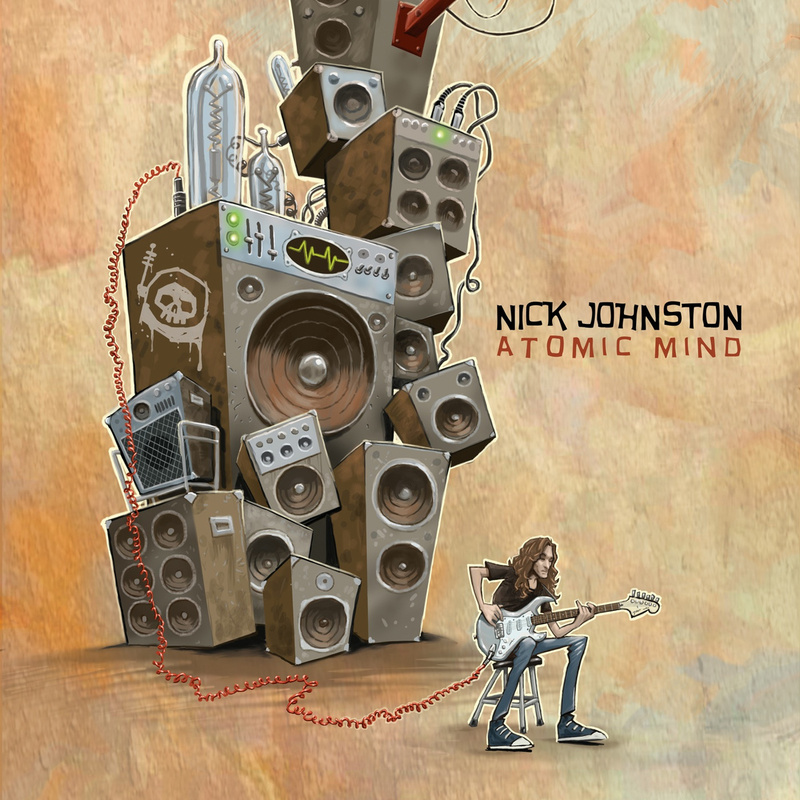 With Atomic Mind, Nick Johnston is coming to the rescue – and his efforts definitely deserve acknowledgement. Backed up by two of the ever-classy Aristocrats in Marco Minnemann and Bryan Beller (and inviting third fusion luminary Guthrie Govan to share the spotlight during Silver Tongued Devil), Nick Johnston infuses every note with character and soul – which is an impressive feat considering just how many notes get pumped through your headphones over the course of Atomic Mind‘s ten tracks. This is instrumental music, after all – but there’s still no sense of ego-gratifying profligacy, provided you can hear fast enough. Instead, Johnston, Minnemann, and Beller brew up consistently moving and hard-grooving sketches that grow on you with each listen. Whether you’re perusing the quirky intro to Ghost of the Robot Graveyard, snapping your fingers to Silver Tongued Devil, or shedding a tear over the focussed intent of Last Deals of Dead Men, you’ll quickly find your brain cells beguiled by Atomic Mind if you consider yourself a serious guitar fan. Even if you’re new to the world of the six-string, Atomic Mind remains an essential addition to your library. Put simply, this is how it’s done. Follow TMMP via Twitter for more awesome music! If you’re a regular reader, thanks for the support! Don’t stop, and keep going!